A majority of EU member states do not want neonicotinoids in the fields. Many German politicians and nature conservation groups cheer, but not everyone welcomes the free-range ban on insecticides. 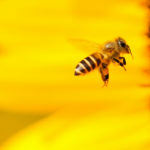 Brüssel (dpa) – The EU states have approved a free-field ban for three bee-harming insect repellents. According to diplomats, 16 countries in the competent EU committee in Brussels supported this proposal of the European Commission. The neonicotinoids may therefore be used only in greenhouses on fields they are prohibited. With 16 votes in favor, the required qualified majority was barely reached. Among the proponents of the ban include Germany , Luxembourg and France . The Czech Republic, Denmark , Hungary and Romania voted against it, as diplomats said. Eight states abstained. For a qualified majority, 16 member states, representing at least 65 percent of the EU population, must agree. The original vote was scheduled for the end of 2017, but the states wanted to wait for a new evaluation from the European Food Safety Authority (EFSA). According to the EU Commission, the current decision should enter into force by the end of the year. Neonicotinoids are significantly more toxic to insects than mammals or birds . According to experts, the active ingredients can paralyze, kill or impair their learning and orientation skills even at low dosages. 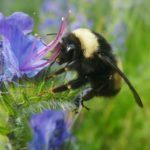 The lethal dose for many of the drugs is about four billionths of a gram per bee. “Today is a good day for the protection of bees in Germany and in Europe,” said Federal Agriculture Minister Julia Klöckner (CDU) and welcomed the free-range ban on the insecticides clothianidin, thiamethoxam and imidacloprid. Already before the vote she had said, what a pity the bee, must away from the market. Federal Environment Minister Svenja Schulze (SPD) said that halting species extinction “is one of the central political tasks of our time”. However, the decision in Brussels is only one of the building blocks to stop insect deaths. “That’s why I’m about to present cornerstones for an insect repellent action program.” Green, Left and AfD supported the previously announced voting behavior. Although environmental organizations were pleased, but the result did not go far enough: BUND Chairman Hubert Weiger called for the lifting of exceptions for greenhouses, as neonicotinoids could get over the water to the outside. Greenpeace agricultural expert Martin Hofstetter said: “In order to protect bees and other valuable insects permanently, we must reduce the use of toxic plant and insecticides quickly and drastically.” Agriculture Minister Klöckner should introduce about a national pesticides tax and stricter rules in fertilizing. Criticism of the ban came from the pharmaceutical giant Bayer, who also produces neonicotinoids. “The decision will further limit the ability of European farmers to tackle devastating pests,” the Leverkusen-based company said. The EU decision was “a bad deal for European agriculture”. ￼The recently acquired by the Chinese state-owned company ChemChina Basler agricultural company Syngenta was also disappointed. It produces thiamethoxam. The minimal risk to bees from insecticides is disproportionate to the need to produce enough affordable food. The German Farmers Association (DBV) called it a “real challenge” to develop alternatives. “In order to safeguard quality and yields, we need pesticides,” said DBV President Joachim Rukwied. The Crop Protection Industry Association (ECPA) warned policy-makers about the implications of removing important tools from farmers. 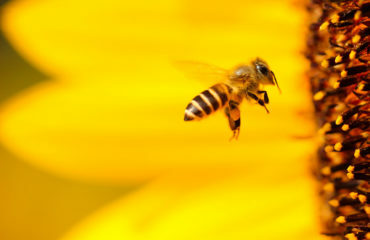 In addition to the three prohibited substances, there are other neonicotinoids that can be used without restriction. 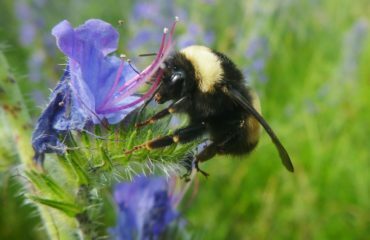 These include thiacloprid and acetamiprid – the latter is classified by EFSA as “a low risk to bees”. A ban or other restrictions on them are therefore “neither scientifically nor legally appropriate”. UNIQVICTUS LLC is the Food Specialists representing various brands and companies in Asia. Copyright 2018 UNIQVICTUS LLC. All rights reserved.